Whether you are worried about what chlorine can do to your hair or you just don’t want to get your hair wet while in the shower, investing in a good shower cap is a practical decision. However, for someone with big curls and thick hair, a regular shower cap might not be enough. You need a shower cap that’s big enough to fit your hair and tight enough to prevent water from getting inside. Because of that, we went through the hard work of finding the best shower cap for curly hair and below are the products that aced our review. 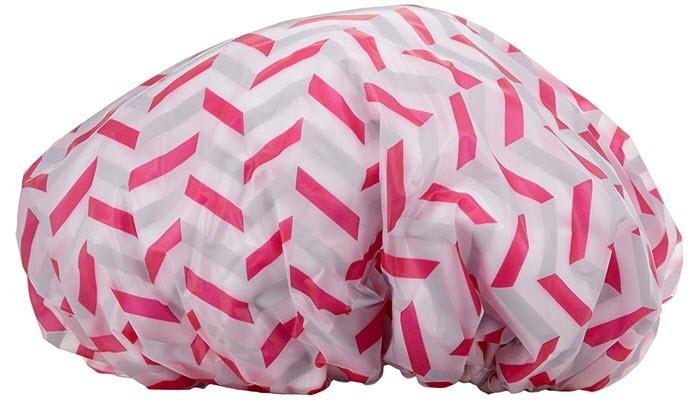 Betty Dain Socialite Collection Terry Lined Shower Cap isn’t just fashionable but it has a very good quality as well. With proper care, you can expect it to last for quite some time. It’s made of nylon on the outside which makes it perfectly waterproof. It gives just the right protection to keep your curls dry. 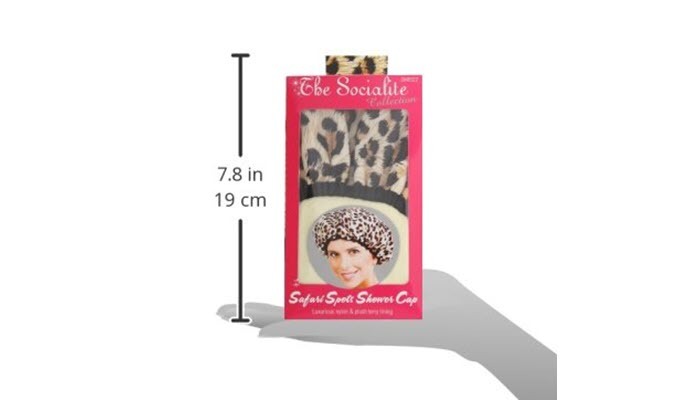 This shower cap is huge enough to fit most hair types and volume. So, even if you have really big curls, you won’t have any problem making this one fit into your head. It even features an elasticized hem designed to keep your skin free from irritation. Another great thing about this best shower cap for curly hair is that you can actually use it during sleep. You won’t have to buy a separate shower cap just to make sure you don’t ruin your hairstyle as you sleep. 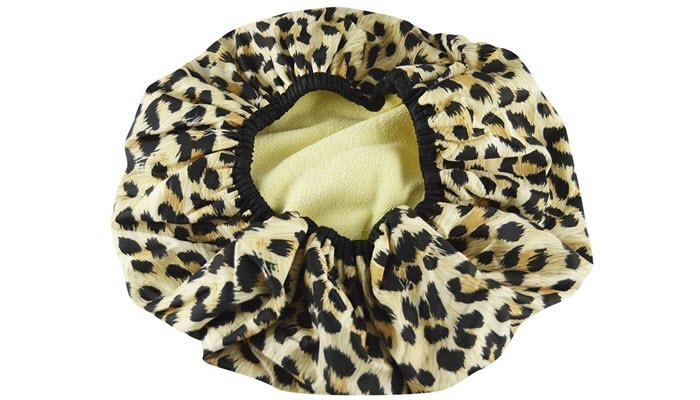 Blowpro The Perfect Shower Cap is large enough to fit all hair types. Even if you have really big curls or your curls are just thick, you won’t have problems using it since it comes with a 360-degree sealed protection. Its secure band keeps both moisture and steam out, providing sufficient protection to your hairline. Its cotton terry lining, on the other hand, provides an additional line of defense. The product is machine washable so you won’t have a hard time cleaning it. However, be careful in drying it out. 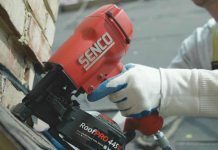 It’s not ideal to machine dry the cap as that can easily wear it out. 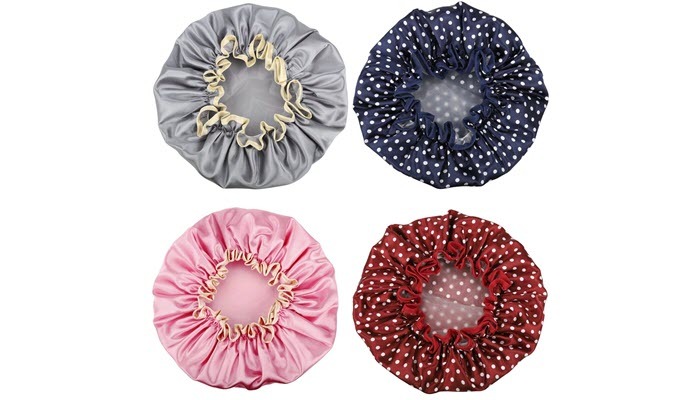 Miracu 4 Pack Lined Satin Shower Caps is just the perfect size to fit all head sizes. In fact, it’s particularly designed for people with curly and thick hair. It has this secure elastic band which is tight enough to ensure that your hair doesn’t get wet in the shower. And even though it’s tight, the cap is flexible. It won’t damage your hair or leave the skin near your hairline red and irritated. Another nice thing about this cap is that it features double layers. Its exterior is made of smooth satin while its interior is made from a waterproof material. Plus, it comes in different cute patterns. 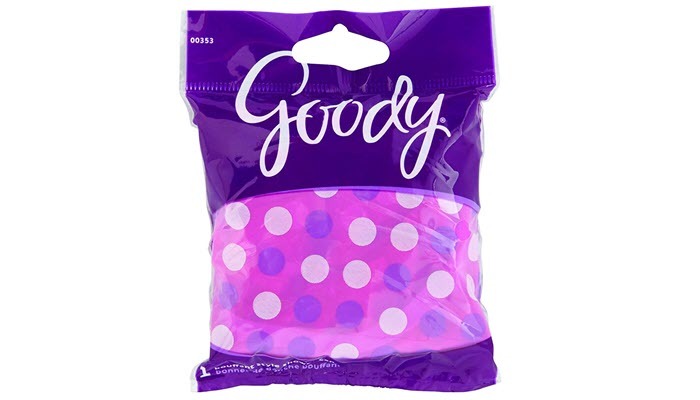 No matter how big or thick your curly hair is, you’ll find Goody Styling Essentials Shower Cap really easy to use. It features a durable elastic band to ensure a perfectly secure fit. The shower cap is made with a really waterproof material that’s designed to prevent steam and water from getting in contact with your hair. If you’ve just styled your hair and you suddenly needed to take a quick shower- you won’t have to worry about ruining your style once you have this on the shower. Of course, since your hair has more volume, you should expect it to take up more space. This is why a regular shower cap won’t work for you. Because of that, we particularly looked for shower caps that are large enough to hold your curls without hurting your skin or leaving any space for moisture and water to get in. Shower caps with elastic bands offer a more secure and snug fit. 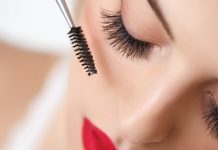 They provide that extra tightness which can prevent steam and moisture from getting in contact with your hair. The shower caps we picked feature elastic bands that can do that. Technically, you can choose a shower cap made from any material. However, since we want to make sure you get the best one to protect your hair while in the shower, we picked products made from satin, silk, and EVA. If you are very particular about the things you wear, this is something you have to seriously consider. In our list, we chose products that can show a bit of your personality. Whether you are into classy, stylish or cute designs, you definitely have an option. 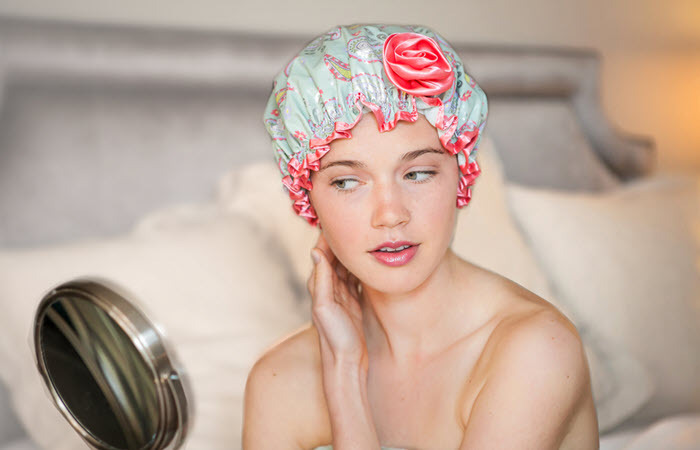 For us, Betty Dain Socialite Collection Terry Lined Shower Cap is easily the best shower cap for curly hair. 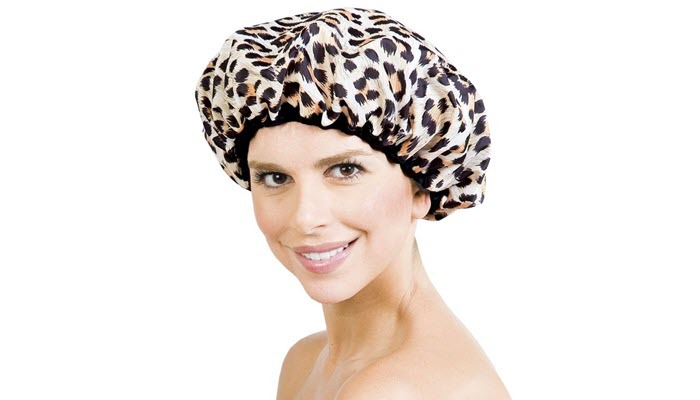 It’s made of nylon which makes it waterproof and effective in keeping curly hair dry in the shower. It’s big enough to fit most hair types and it has durable elastic bands to ensure a snug fit. Plus, it has a really stylish design that can match your personality. It’s a shower cap you can wear in the shower or while you are sleeping. Now, to ensure that you don’t damage your hair prior to washing it, we have a list of the best detangling brush you can use for your curly hair. And for drying, you can check out our list of the best hair dryers for curly hair. If you have a diffuser at home, here’s a guide on how to use it properly. In case you are planning on straightening your hair, make sure you are using the best products for that, too. You can check out this list to help you decide.